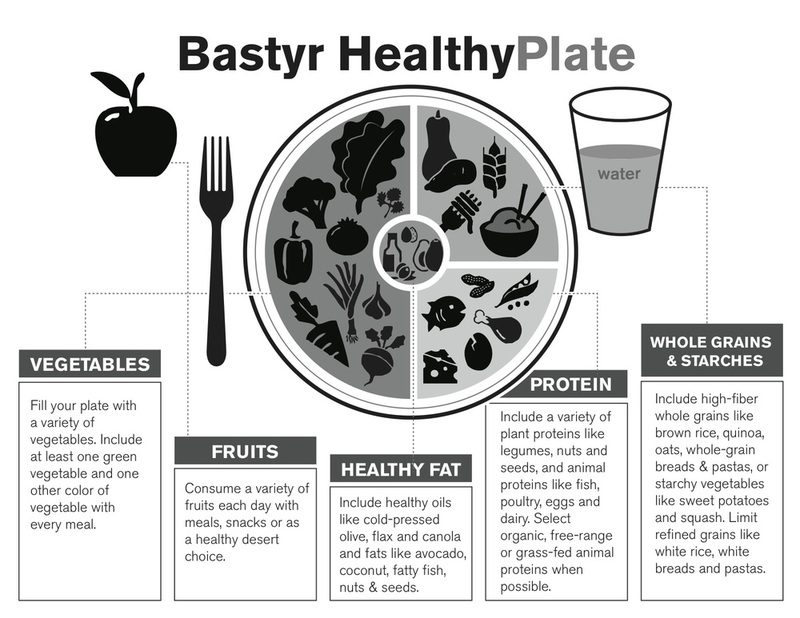 Here is Bastyr's Healthy Plate. It was put together by Bastyr Nutrition students under the supervision of licensed Dietitians. The idea of the Healthy Plate is to take he challenge out eating healthy. If you can match each meal to the plate shown below, you will be on your way to eating a clean and healthy diet. Contact your local Naturopath for more information about healthy eating!